England Saxons have named a youthful squad to face Portugal at Edgeley Park next Friday, with many regular Saxons having been seconded by their clubs for re-arranged Premiership ties. With Gloucester, London Irish, Harlequins, Northampton Saints, Worcester Warriors and Sale Sharks all having Premiership games the following day, Saxons boss Staurt Lancaster has named a side filled with debutants. Saracens pair Noah Cato and Alex Goode, Nathan Catt of Bath, Joe Simpson of Wasps, Leicester duo Matt Smith and Dan Cole, Leeds flanker Kearnan Myall and Bristol fly-half Ed Barnes could all make their Saxons bow against the Portuguese. 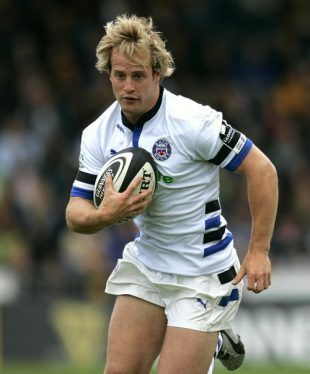 Lancaster has been able to call on some experience campaigners however, with Leicester's Harry Ellis and Jordan Crane and Bath fullback Nick Abendanon all having represented England at international level. "With a number of our regular Saxons players involved in rearranged club fixtures, this match is a great opportunity for some of our talented young players coming through the programme, those just outside the current Elite Player Squads, to showcase their talents on the international stage and put a marker down for the future," said Lancaster. "It is a great opportunity and hopefully we can put together a cohesive and exciting game plan in a short space of time to allow the players to express themselves."